I don’t know a lot about whether or not there is a parallel universe. I have thought a lot about it though. Like what if there is someone who is just like me light years away or what if there is a world that is the complete opposite of what we are living in right now? Scientists call it a multiverse. A place that is unable to be perceived directly. There are many alternative universes that carry their own different version of reality. In a recent study done by the UK’s Royal Astronomical Society, they talked about a so called “cold-spot”. This is a cold patch of space seen in radiation of the Universe more than 13 billion years ago. This cold spot was first seen in 2004 by NASA’s WMAP satellite and then it was confirmed that it was indeed there in 2013 during ESA’s Planck mission. This cold spot has always been very puzzling. Many don’t think that it was produced during the making of the universe. But the latest study rules that out. This cold spot is actually an optical illusion that is produced by the lack of intervening galaxies. In other words, this spot is most likely the start of another universe that is colliding with ours. The idea that there are many other universes throws a lot of what we think is true out of the window. Like, for example, physics. Physics explains the why of our universe. It explains why our universe takes the form it does and why certain quantities have the values that they do. A multiverse sounds kind of crazy, right? For all we know, we are a simulation for a bigger greater world. As a society, no one really knows if there is a parallel universe. There are theories and evidence to support both sides. If we do live in a multiverse though, there is probably an alternate version of me or you in another universe who has figured it out. Maybe someday soon will figure a way to tell us. Multiverse Craziness by Maggie is licensed under a Creative Commons Attribution-ShareAlike 4.0 International License. AmeliaEffects of Social media on Kids in the Future. I love your post! 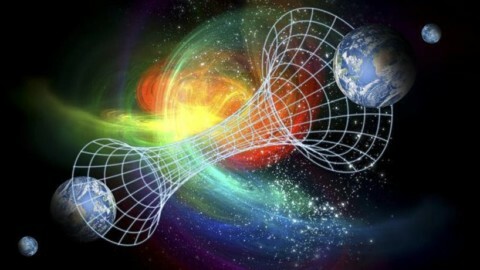 I always wonder about parallel universes and if the truly do exist! I am so torn on the situation! I have done a lot of research on this topic myself, and I think it would benefit you and your research immensely to look up Elon Musk and his view on the topic. He fully supports the theory and states that he is 100% positive that there is a parallel universe. It would be interesting to see what you find! Awesome job, I love the topic! Maggie, I really liked your post and explanation of these complex ideas. I have always loved space and find this concept very interesting. Different universes that are variations of ours open up many questions. Can one universe directly affect another? Is there a way to travel between multiple universes? How many of these universes could there be? Your post inspired me to do more research on the topic of the “cold spot” and its possible explanations. There is a possibility that it is no more than a void between universes, but scientists seem to believe that the multiverse idea could be true. I think that ideas like these are so interesting because they are among the least understood ideas of the human race. Thank you for sharing this post and hopefully it gets more people thinking about these big questions. Maggie, this is an awesome post and definitely something that I have thought about as well. I love the idea of an infinite number of universes where just about anything is possible. What if we each are living in our own world, and all the different universes are just each person’s perception of the one they live in. I like the stuff you said about physics bot really making much sense in a world with infinite universes. I recommend you check out the book A Brief History of Time,by Steven Hawking. It deals with issues similar to the ones you talked about and it’s absolutely mind-boggling. I’ll definitely be back for more posts about the world around us. Maggie, I got really excited when I saw a post on multiverses. This has been a question lingering in the back of my mind for some time. Your insights on the “cold spot” shows that in fact our universe could actually be part of a system of multiple universes. In fact, an MIT professor I’ve read has some really good insight on this topic. http://discovermagazine.com/2008/jul/16-is-the-universe-actually-made-of-math This provides a good explanation of his ideas. This idea and ideas like it have always fascinated me, especially after the first time I read A Wrinkle in Time by Madeleine L’Engle. In that book, she discusses and narrates an entire story based upon the idea of the existence of a multiverse, and puts into an understandable perspective the idea of higher order dimensions. Your piece reminded me of a project I did for physics last year in which I actually studied the man who came up with the idea of the multiverse. Hugh Everett suggested the multiverse theory in 1957, and based his predictions and thoughts on quantum wave mathematics. He suggested that in gravitational waves, particles from other universes could “poke” into our own, which is similar to what you suggest in your mentioning of “cold spots”. “Hugh Everett devised the many-worlds interpretation of quantum mechanics, in which quantum effects spawn countless branches of the universe with different events occurring in each” (https://www.scientificamerican.com/article/hugh-everett-biography/). Maggie, I enjoyed reading your post because I have often wondered if there is a parallel universe out there like I have seen in TV shows. I found the concept, “cold spot,” wild due to the fact that NASA has observed this and it has been there since the beginning of time. You did a wonderful job at explaining your complicated information, where I was able to understand it without further research. I would like to know more about this and hopefully I’ll hear from you again.